Lot 20. A puddingstone carving of a lion, Tang Dynasty (618-907); 15cm (5 7/8in) high. Estimate £4,000 - 6,000. 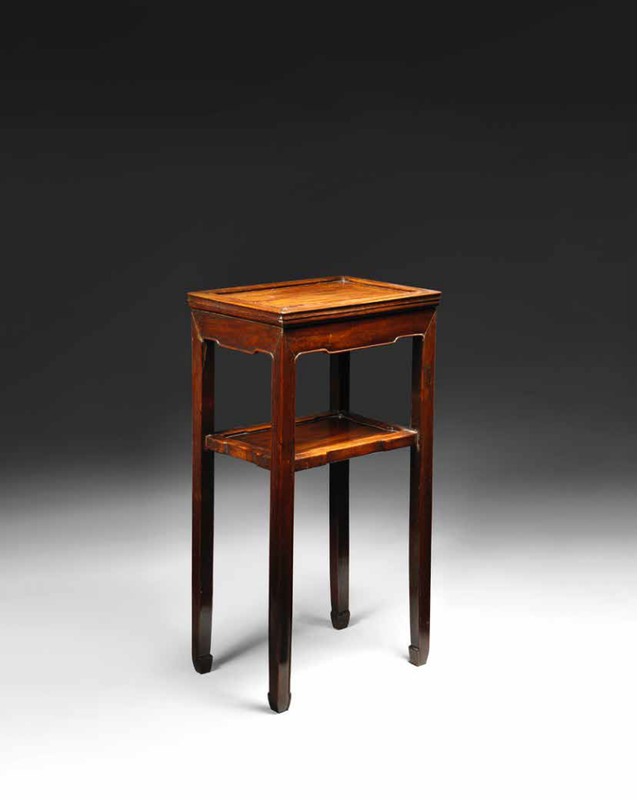 Sold for £ 13,750 (€ 15,794). 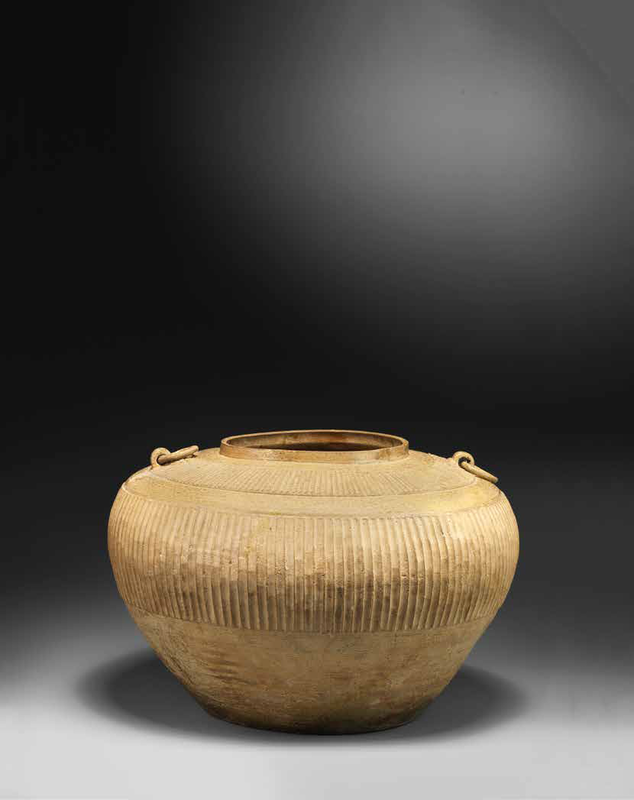 © Bonhams. The powerfully carved figure shown seated on its haunches with forelegs outstretched, the head facing forward with a fierce expression conveyed by bulging eyes and mouth open in a roar showing the teeth and up-curled tongue, the ears flattened back above the curling mane, the lower part of the forelegs and rectangular base later, wood replacements. Note: Introduced into China from Central Asia as symbols of religious power, probably following the introduction of Buddhism during the Han dynasty, lions became significant protective emblems within elite architecture. The Buddha Shakyamuni was seen as a newborn child pointing to Heaven with one hand and to Earth with the other, 'roaring like a lion' and Buddhists regarded lions as divine creatures of nobleness and protectors of the Truth. 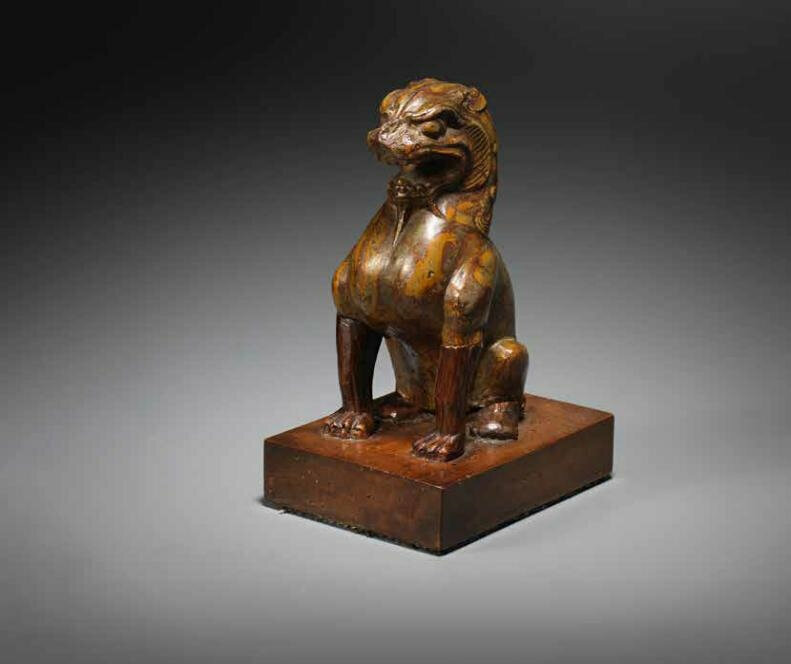 Compare with a similar pudding stone model of a seated lion, Tang dynasty, in the Metropolitan Museum of Art, New York, illustrated by L.Roberts, Treasures from the Metropolitan Museum of Art, New York, 1979, no.28. Another puddingstone lion, Tang dynasty, formerly in the George Eumorfopoulos Collection and currently in the British Museum, is illustrated by L.Ashton, An Introduction to the Study of Chinese Sculpture, London, 1924, pl.50.